When I receive a submission from the talented Hilary Cam, I get this ridiculous grin on my face. Why? Well, because Hilary seems to be the luckiest photographer I have ever known. 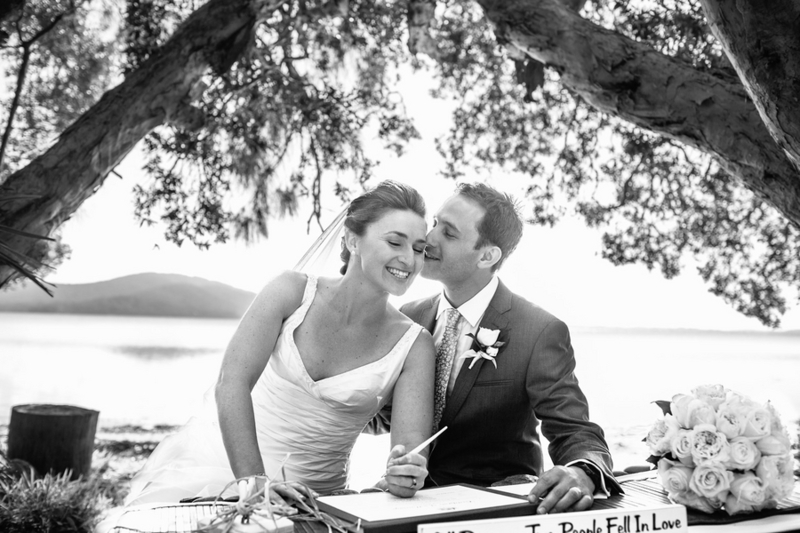 Seriously, he always works with these remarkable couples in picturesque locations with really cool details. I adore his photos and the way each and every one tells a story within the story. 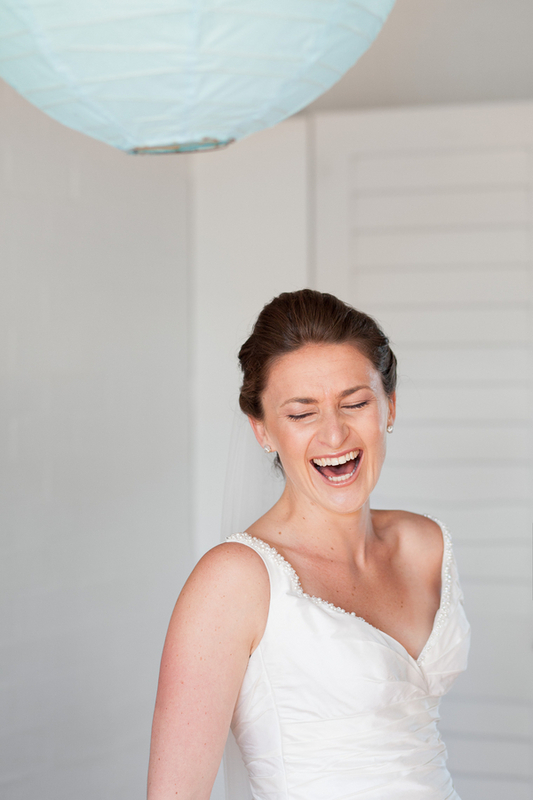 Hilary is truly able to capture the essence of each bride and groom he photographs. So, maybe it's not that he's lucky after all. I believe it's called raw talent. When you take in Melanie and Stuart's wedding in the gorgeous Pacific Palms, New South Wales, Australia, you will see Hilary's raw talent, exposed (sorry, couldn't help it...). 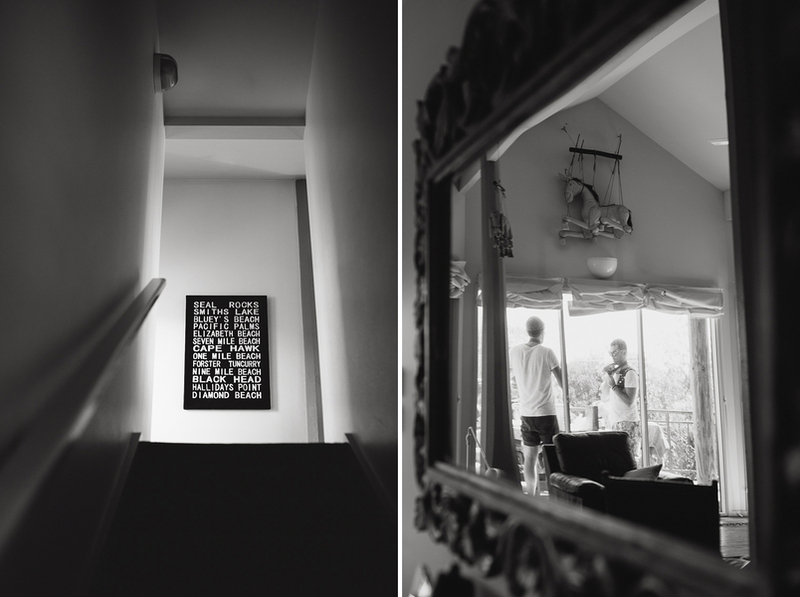 These pics speak so loudly, that if I just posted these photos without writing a word, you'd walk away with a full understanding of exactly who Melanie and Stuart are and how their wedding was a brilliant representation of their relationship. What I will tell you is that Melanie is from Australia and Stuart is from the UK so this is a destination wedding. Enjoy!!! I love the robes. Hilary said that Melanie was super fun and smiled and laughed all day. Hilary Cam: We had a unique groom’s prep in the morning, rather than the classic shots of suits and ties Stuart wanted a more apt prep for a beach setting and so we headed to the beach with his groomsmen who had all travelled from the UK. 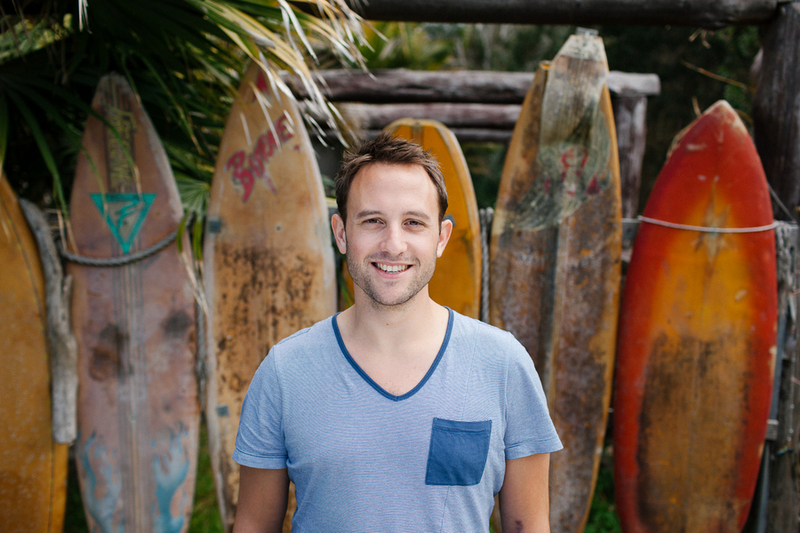 Stuart got more of Boomerang Beach than he bargained for when he was thrown in the water. 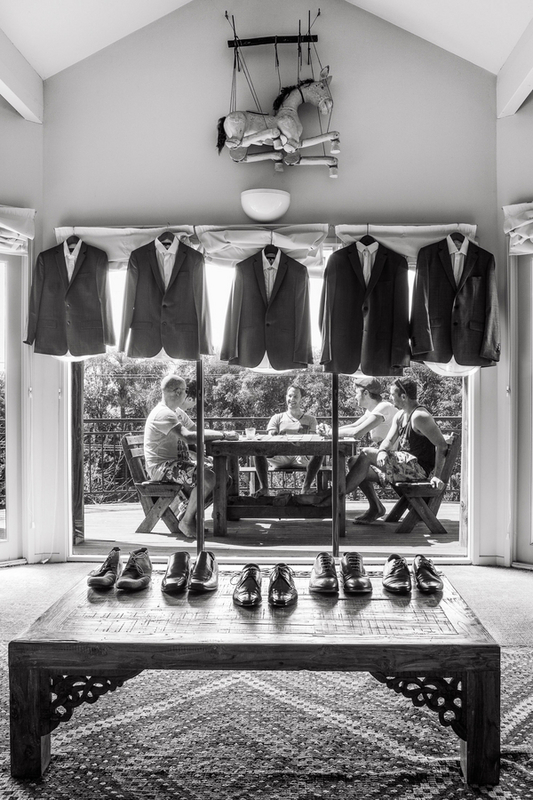 I've seriously never seen groomsmen have so much fun while "getting ready". 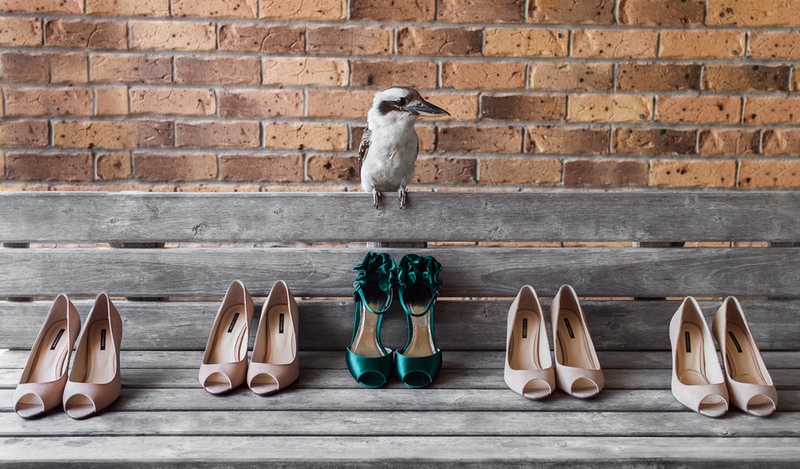 Melanie and Stuart's invitation (designed by the groom) features a kookaburra and a robin holding a love heart – symbolic of an Australian and an Englishman falling in love. I mean... First of all, I love the invite, but the meaning is melt-worthy.